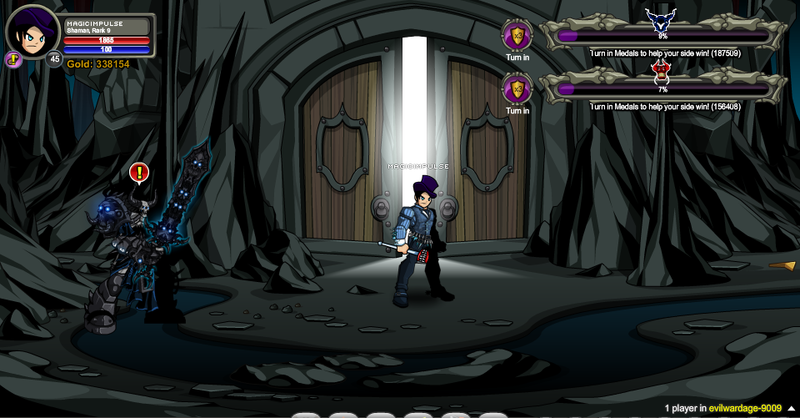 Dage the Evil (NPC) won Part I of the war by reaching 100% first. Nulgath (NPC) won Part II of the war by reaching 100% first. 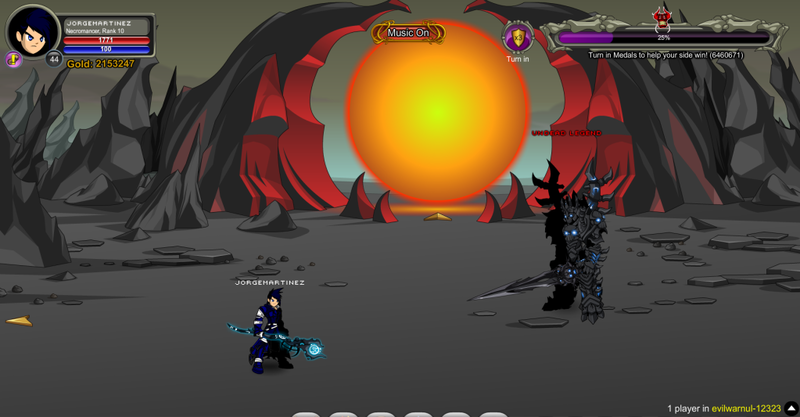 Nulgath (NPC) won Part III of the war by reaching 100% first. Overall, Nulgath (NPC) won the Evil War. Map was renamed to Underworld after the war was complete. At that time all items/quests that were supposed to be rare were removed. Rewards: 50 Exp, 50 Gold. Thanks to Cahyo kurosaki, GbdfAqw, Kanto_boy1996, MagicImpulse, Malak93, Rezurrect, ShadowWhisperer, Super Malevolo and WorldMage.